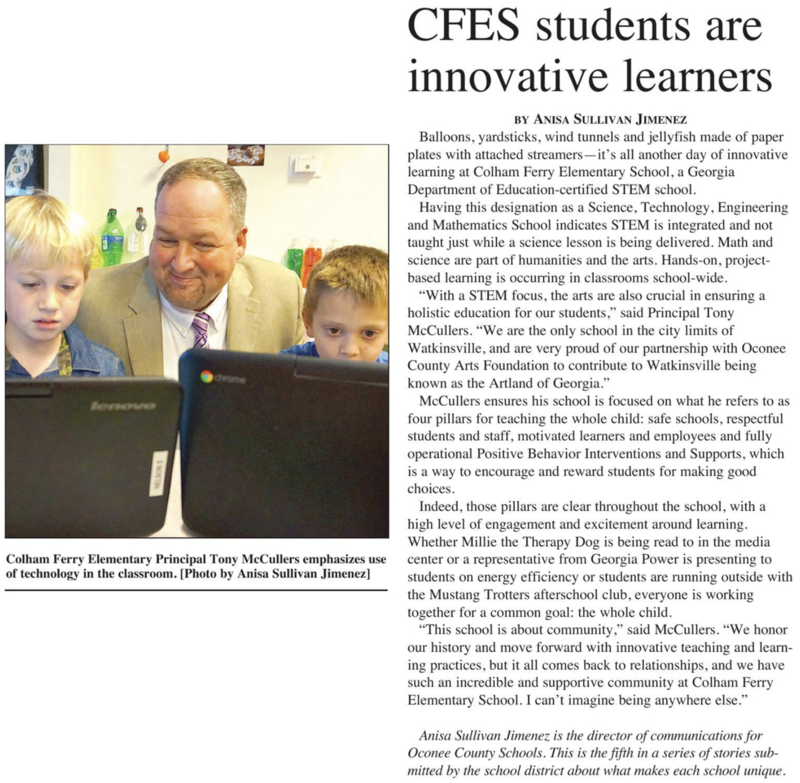 Welcome to Colham Ferry Elementary School! Our regular school office hours are 7:15 a.m.-3:45 p.m. Student hours are 7:45 a.m.-2:30 p.m. 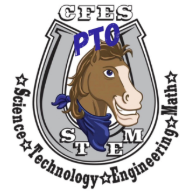 If your child is absent, please send all absent notices to cfesattendance@oconeeschools.org. 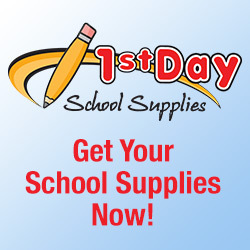 Our school supply kits are ready to go. Click the link below to order now. The deadline to order is June 30. 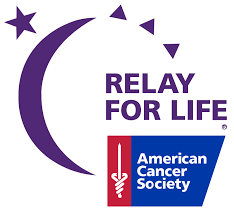 Please join us for Relay for Life on Fri., Apr. 26 at Oconee County Middle School! 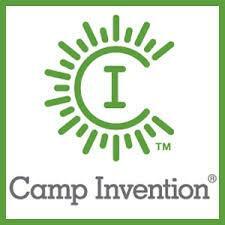 Camp Invention is coming back to CFES this summer June 24-28 from 8:30 a.m.-3 p.m.! Click here for more information! Speech Language Teacher, Mrs. Amy Arnold, is the 2018-19 Oconee County Schools Teacher of the Year. Congratulations, Mrs. Arnold! Visit the Colham Ferry Elementary WeatherSTEM page for more information from our weather station.